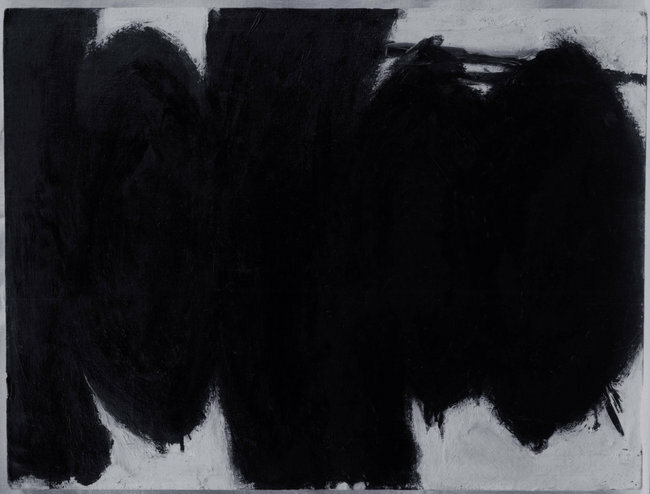 It really shouldn’t come as a surprise that federal agents are investigating recent sales of modern works by artists like Robert Motherwell and Jackson Pollock, but it does. In a very good piece of reporting by Patricia Cohen we learn that the Knoedler Gallery in New York has abruptly decided to close after 165 years, perhaps to avoid a suit by Pierre Lagrange. Lagrange purchased a work purported to be by Jackson Pollock, for $17 million in 2007, yet forensic study of the painting reveals that two paints in the canvas had not been produced at the time Pollock was painting. Oops as Rick Perry would say. The suspect works of art were supplied by Glafira Rosales, who claimed to have direct access to artists like Rothko, Pollock, Motherwell and others. The story of these works is a sadly familiar one, they were “bought by an unnamed collector in the 1950s from the artists”, then when this collector died their were passed on to a “close family friend” who lived in Mexico and Switzerland, who insisted of course on anonymity. One is hard pressed to fell much sympathy for the dealers and galleries who still rely on these ridiculous provenances. They pollute our collective cultural heritage and defraud future generations. The same stories emerge from nazi-era restitution disputes, recently-emerged antiquities, and forged artworks. When these vast sums of money and important pieces of our heritage are at stake, some sectors of the art market continue to put expedience and short-term gain first. And sadly its a lack of meaningful scrutiny and regulation of these transactions. Thirty years ago Paul Bator argued the art trade is shrouded in secrecy, and sadly not much has changed. The point here is that the art market, like the stock market, runs on a combination of trust and storytelling ability. The most expensive artists are nearly always those who can be credibly placed into central slot in the history of art; one of the main reasons that Abstract Expressionists in general are so expensive is because they have spent decades as the very heart of MoMA’s collection, which presented them as the pinnacle of 20th Century art, the artists standing on the shoulders of people like Picasso. When gallerists sell paintings, they tell stories not only about the work, but also about the story behind the work, conjuring up romantic notions of dealings between Robert Motherwell and Mexican sugar magnates, brokered by “man named Alfonso Ossorio”. So long as the institution selling the work is trustworthy, potential buyers tend to take such stories at face value — and, of course, they have a vested financial interest in those stories being true, the minute they actually buy the piece. Patricia Cohen, Federal Inquiry Into Possible Forging of Modernist Art, The New York Times, December 2, 2011, http://www.nytimes.com/2011/12/03/arts/design/federal-inquiry-into-possible-forging-of-modernist-art.html (last visited Dec 6, 2011). Next Next post: Madison on "Knowledge Curation"